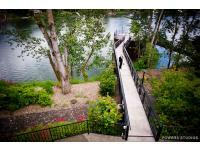 For a one-of-a-kind experience, exchange rings or enjoy a spectacular reception on the breath taking Williamette River. This is truly one of Oregon’s most spectacular event sites! We like to think of ourselves as more than a venue. 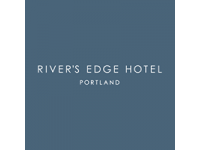 River’s Edge Hotel has everything that you need to take your wedding celebration to the next level. Our staff can coordinate an intimate gathering for just family and friends or an elaborate party for as many as 104 guests in one of our scenic event spaces. 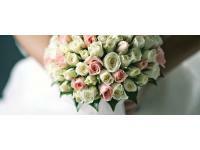 We offer bridal spa services, large suites for ample ‘getting ready’ space and lush grounds for plenty of photo ops. Overlooking the Columbia River Channel. Beautiful views from our rooftop deck! From any angle, our property dazzles. Situated on the banks of the beautiful Willamette River, it’s easy to immerse oneself in the natural beauty of our destination. Outdoor spaces like the courtyard make it easy to commune with Mother Nature, while the buzz of downtown is only a short trek away. Inside our hotel, the vibe is relaxed yet refined, and innovative design elements bring a piece of the outdoors to our spacious, warm and photogenic spaces. a grande estate and royal service. Welcome to Lakeside Gardens. You can proudly invite guests from all over the world to the natural miracle of Oregon. Lakeside Gardens blends tall cedars, weeping willows and lakes surrounded by a garden paradise. We are a Private Event Facility situated on approximately seven acres. We schedule events year round. 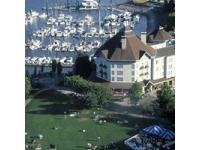 arrow Convenient Location Only minutes from downtown Portland, Lakeside Gardens is both a beautiful and productive setting for many events. The grounds provide a delightful natural setting and the elegant interior combines the warmth and charm of the 1920’s with modern conveniences. During the warmer months, the 2.4 acre gardens and 30′ by 60′ patio offer a beautiful space for larger groups (up to 100 guests) and a natural backdrop for photos. In the cooler months, October through April, the home itself accommodates 60 people, or 40 people comfortably at a sit down dinner. 909 N. Hayden Island Dr.
From a barefoot beach wedding at sunset, an elegant fully catered reception in our panoramic oceanview ballroom, or an intimate outdoor wedding in the lush gardens of our Haystack Garden Retreat Center, have a magical setting for your special day.